Ansel Adams’ approach was two-fold. He’d measure the tones in the scene to choose a suitable exposure – and a film development time – to capture the full range of tones. Then, in the darkroom he would use careful printing, and plenty of dodging and burning to get each area of the image in the zone he wanted. That’s a simplification, but you get the gist. Few of us have a traditional ‘wet’ darkroom any more, but it is possible to replicate many of the processes of the Zone System digitally, using Silver Efex Pro, and here’s how it’s done. 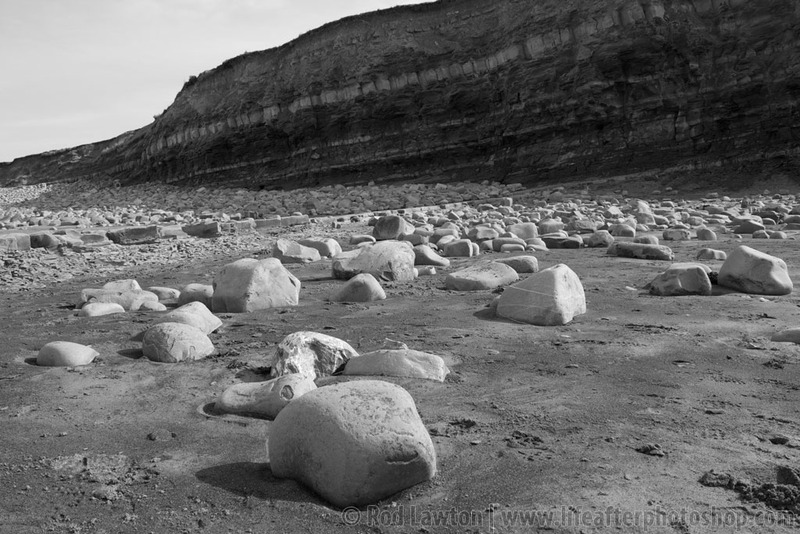 I’m starting with this somewhat flat-looking landscape, as rendered by Silver Efex Pro’s ‘Neutral’ preset. I’m going to work on this manually to try to get some punch back into the picture. Start by opening the Loupe & Histogram panel at the bottom of the tools panel, then click the Histogram button. If you move the mouse pointer down to the base of the histogram, you’ll see a series of eleven zones appear at the bottom, on a scale of black to white. If you hover the mouse over one of these zones (I’ve circled zone 0 here), any corresponding areas in the image will show up with a hatched overlay. If you click the zone button, the hatching persists even when you move the mouse away. So far you’re probably thinking this looks just like the clipping alerts in other programs… but there’s more. If you click another zone, you see hatching for both zones. Here, for example, I get to see all the tones in zones 0 and 1. It’s like a clipping alert you can customise. Thanks for the tutorial Rod. At the moment I primarily use the High Structure preset for my black & white photo editing in Nik Silver Efex Pro. 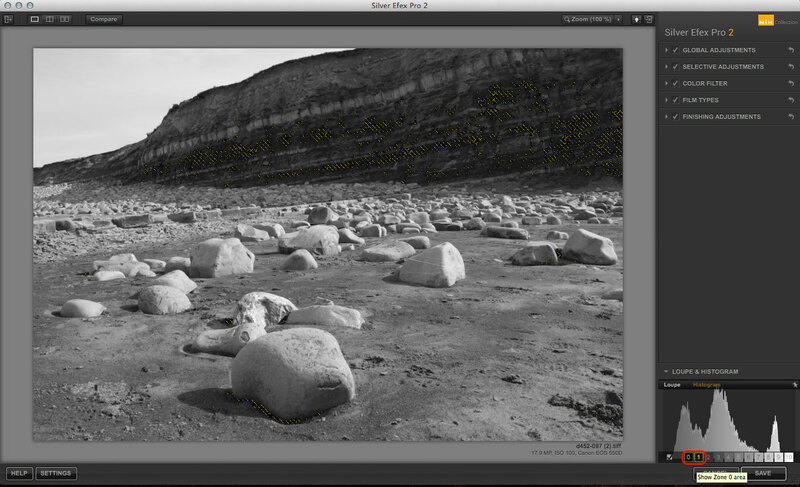 Next Next post: How to use Elements blend modes to boost your colours with black and white!